an artist or ‘accursed poet’ in the 19th century? Revive the legend of the Green Fairy with absinthe! Grande Absente will awaken your thirst for forbidden flavours as you perform the legendary ritual: gently pour iced water over a sugar cube perched on an absinthe spoon atop a glass. Watch as the absinthe clouds in the glass and assumes its broody iridescent hue... Then, even before taking your first sip, breathe in the aromas and fragrances of aniseed, mint and spices that accompany the essence of the absinthe plant. Ready to drink, Absente can be enjoyed without the addition of sugar. 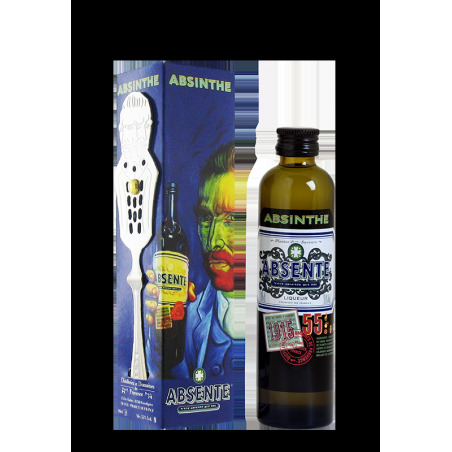 With an alcohol content of 55% and 10mg of Thujone, it is the first Absinthe authorised. With its pipette, add a drop to cocktails, beer, on a sugar cube or simply in fresh water. See how extremely versatile Extrême d'Absente truly is. The ideal way to boost your energy drink too. Absente 55 is enjoyed by those in the know in the true tradition that involves a flame, sugar, water and absinthe… a ceremonial ritual which gives free reign to your imagination. Absente 55 derives its bitterness from several of the aromatic plants of absinthe (Artémisia Absinthium). The thujone content is strictly regulated in line with legislation (extract from legislation). The Absente 55 recipe, a blend of absinthe, aniseed flavors, mint and spices, gives it its incomparable color and unexpected length of flavor. Tips: Here are a few ideas. Adapt to suit your mood and taste: serve using the traditional spoon method, onto crushed ice or, if you love your drinks strong, just serve it neat. With Absente 55 there are no rules. Grande Absente 69, the modern, provocative "green fairy" which inspires the contemporary art scene, embodies all that is spiritual and anti-establishment. Grande Absente 69 - the genuine article - contains more absinthe plants, which gives it its very particular bitterness. The rite of passage to the very essence of a true absinthe! Grande Absente 69. Caution, you may become mad... about it! 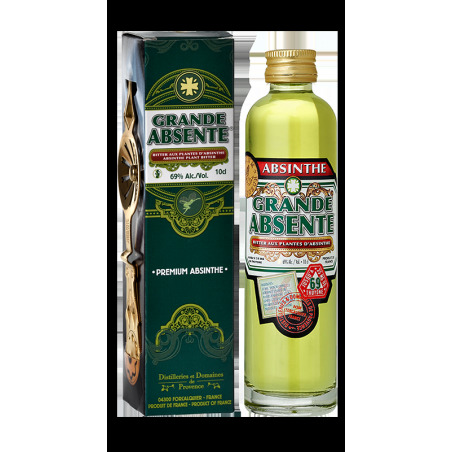 Tips: Aside from the traditional absinthe ritual, the different plants and of course the absinthe contained in Grande Absente 69 make it an ideal addition to an infinite number of cocktails. Shakers at the ready! - Extrême d’Absente, with a thujone content three times more concentrated, comes in an ambitious packaging: a bottle with its own pipette. - The pipette draws the eye, adds to the thrill, excitement and mystery of Extrême d’Absente; giving it an aura of mystique. 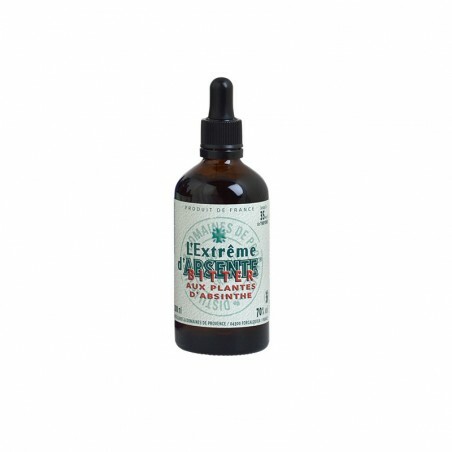 - Add a few drops of Extrême d’Absente directly to a cocktail or a beer, or onto a sugar cube. Our tip: On a sugar cube, in Absente, beer or cola, all you need is a few drops to subtly change the flavor of the drink. A gentle change that is barely perceptible. and it very quickly became established. In 1830, Absinthe was taken by the soldiers in their quest to conquer overseas territories. They used it to purify the water but also to cure their homesickness. On their return they continued to drink Absinthe. The bourgeoisie, in awe of its soldiers, tried the drink and enjoyed it while artists, always on the look out for new pleasures, discovered it too. Drinkers suddenly had a drink with powerful plant aromas to which they could add ice-cold water. But the water wasn't added any old how. To "surprise" the Absinthe, you had to let the water fall, drop by drop, onto a sugar cube placed on a perforated metal spoon. Once the sugar had dissolved, the water could finally be added in a steadier stream to "battre l’Absinthe" until fully mixed, a genuine alchemy between the water and the plant essences. The artists lived and breathed Absinthe. This modern young lady who provoked them, enchanted them. She swept the drinkers into the most nonsensical dreams in which they had a magnificent talent and found the exact words to describe their little green-eyed muse. From 1860, Absinthe reached the working classes and became so much in vogue that it reached the status of "national drink." However it was soon to become the symbol of alcoholism. Becoming the scapegoat of all the ills caused by this epidemic, which reached a peak in the late 19th century, the little green fairy became the "green peril." The newly-created anti-alcohol leagues, and the wine lobbies, shocked at absinthe's success, put pressure on the government for it to be banned. It was not however until World War I that the government, concerned not to upset any more people than it already had, finally adopted some restrictive measures. Judged insufficient, they were supplemented by a new draft bill, passed in March 1915, prohibiting the production and sale of Absinthe. Regulation EC No. 1334/2008 of 16 December 2008, which came into force on 20 January 2011: the maximum authorized content of thujone (alpha and beta) in alcoholic drinks produced from species of Artemisia is 35mg/kg. On 17 May 2011, the 1915 Act on the ban on the production, wholesale and retail and circulation of absinthe and similar liqueurs, was repealed. 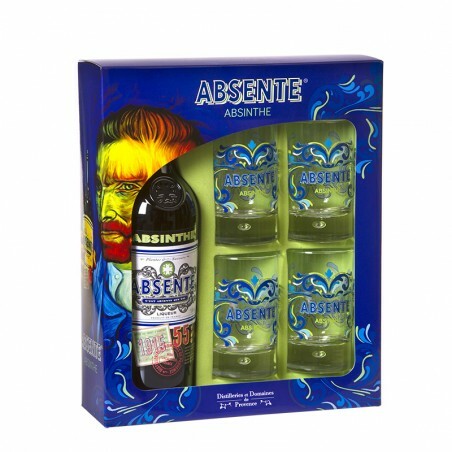 The term "absinthe" can now appear on the label, (previously the mandatory formulation was "made from absinthe plants"). The product cannot yet be sold under the name "Absinthe" because it doesn't have a European Community definition. The FFS and DGCCRF are working to have absinthe included in European law. The ingredients are steeped and/or distilled. They are prepared in advance and mixed at the time of production. 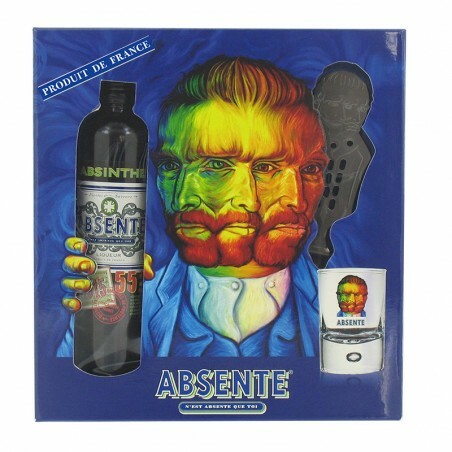 It is not a coincidence if the Distilleries et Domaines de Provence decided to make Absente from a blend of essences, which allows them to control the thujone content of all the products it makes from absinthe plants. The finished Absente is checked, tasted, filtered and then bottled. How do you drink ABSENTE? The armoise (Artemisia Vulgaris) infusion gives Absente its structure. The alcoholate and essences add subtile flavors of anise, mint and spices, giving Absente its balance, elegance, freshness and surprising length of flavor. You can pour the Absente onto crushed ice or ice cubes. If you like strong drinks then you can drink it neat. If you prefer it slightly bitter and less sweet, simply add fresh water to your Absente. Those nostalgic for the past can practice the ritual of bygone days by placing a sugar cube onto an absinthe spoon placed on the rim of the glass and slowing pour in the water until it melts the sugar and turns the Absente an opalescent green. Absente can also be flambéed and added to cocktails. The color: a beautiful light green with clear shiny glints of yellow. The nose: a subtile aroma of absinthe blended with anise, mint and spices. Storage: at room temperature, not above 25°C or keep chilled. Store the bottle upright. No use-by date. How do you drink GRANDE ABSENTE? Place a piece of sugar soaked with Grande Absente on an absinthe spoon placed on the edge of the glass. Light the sugar with a flame. Gently pour the water over it, to slowly dissolve the sugar and to tint the liqueur with an opalescent green. Pour the Grande Absente over shaved ice. Add a little water only for those who prefer bitter drinks that are not very sweet. And those who love strong sensations will appreciate Grande Absente neat, at 69% alc/vol. Appearance: beautiful clear green color with yellow reflections, which look clear and brilliant. Nose: The aromatic power of grande absinthe dominates with the characteristic camphor and menthol notes which then mix in with fresh anise and spice notes. Taste: a powerful attack due to the presence of absinthe, then the structured development leaves room for a fresh and spiced final note that gives the product its lingering taste. Storage: at room temperature, not over 25°C or in the refrigerator. Store the bottle upright. No expiration date. How do you drink EXTREME D'ABSENTE? Extrême d’Absente, with a thujone content three times more concentrated, comes in an ambitious packaging: a bottle with its own pipette. The pipette draws the eye, adds to the thrill, excitement and mystery of Extrême d’Absente; giving it an aura of mystique. Add a few drops of Extrême d’Absente directly to a cocktail or a beer, or onto a sugar cube.